A choice of treasure hunt apps for you to find some treasure with. Tell us what you think of them. 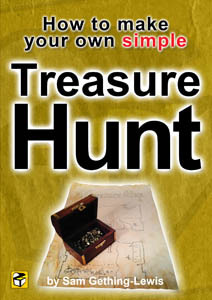 There are loads of treasure hunt apps on the market. Search your marketplace for the latest editions. We love treasure hunting and want you to take part. It is a great way to get out and about. We can create bespoke phone and tablet apps for your treasure hunt needs. We can do flat html trails, flash based challenges, GPS and can incorporate dynamic data, meaning participants can dip in and out without fear of losing their place.